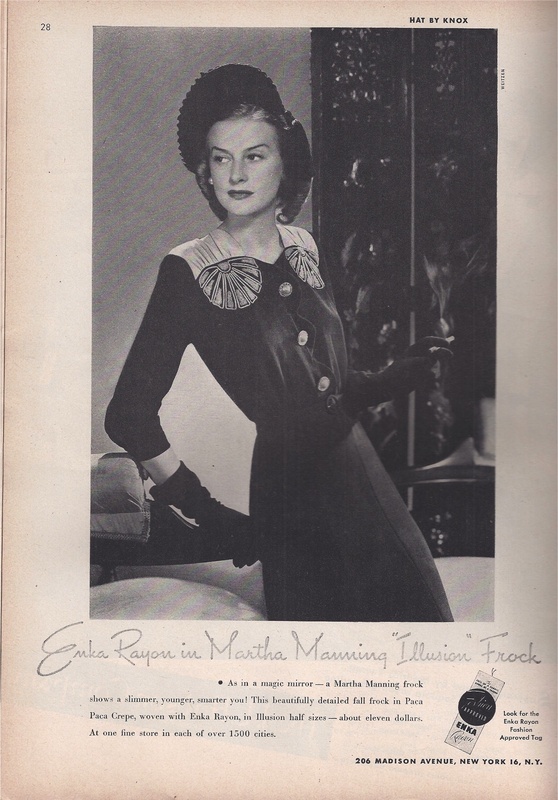 Last month Madge was rummaging around in one of her favorite Savannah antique haunts and came out with a fab haul of vintage fashion magazines. 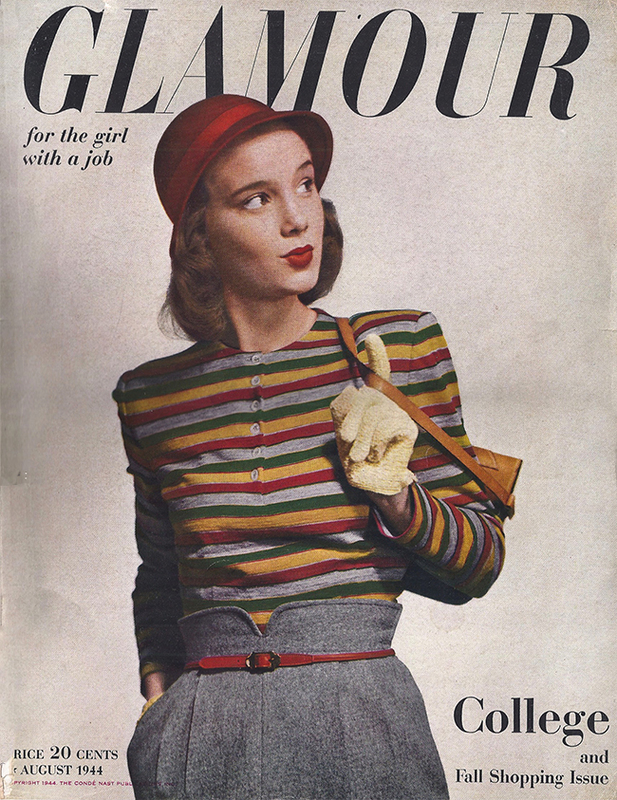 After blowing the dust off the stack she found this gem, and since it’s Autumn, here’s a fun back-to-college issue of Glamour from 1944. It’s interesting that while the cover sub heading is “for the girl with a job” that notion isn’t carried forward in any of the articles. Admit it. We were all this put together in college weren’t we? 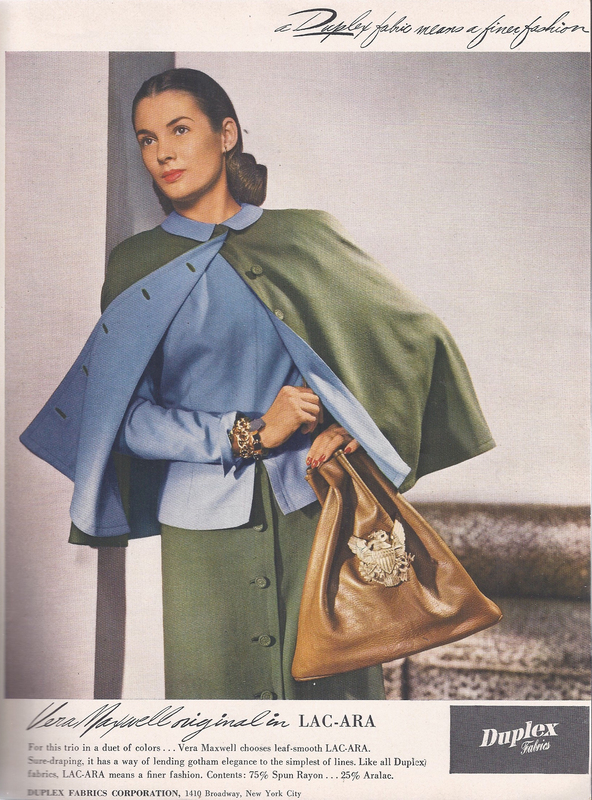 More college glamour Don’t you love brooches on the wrapped turban and blouse. 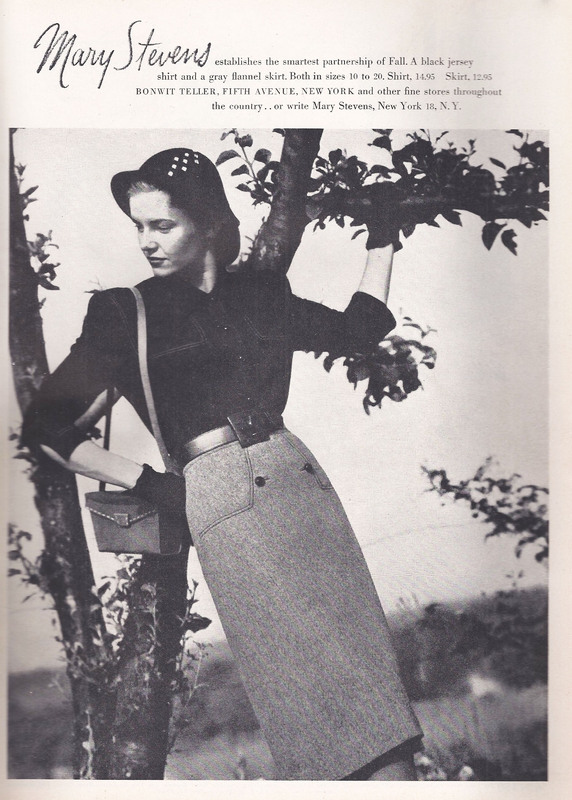 This beautiful outfit is in a crepe fabric with the ungainly name of Belding’s Air Commander. 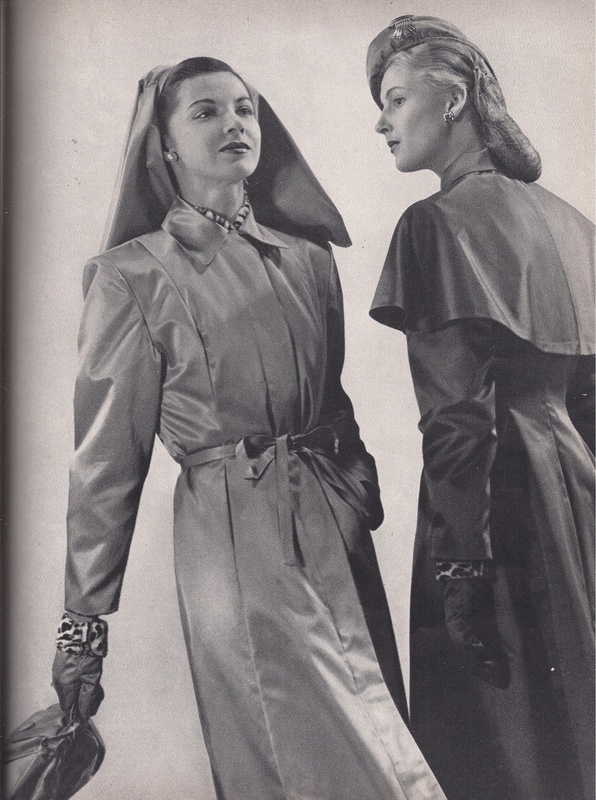 Except for the hairstyle this rainwear spread is right in style. 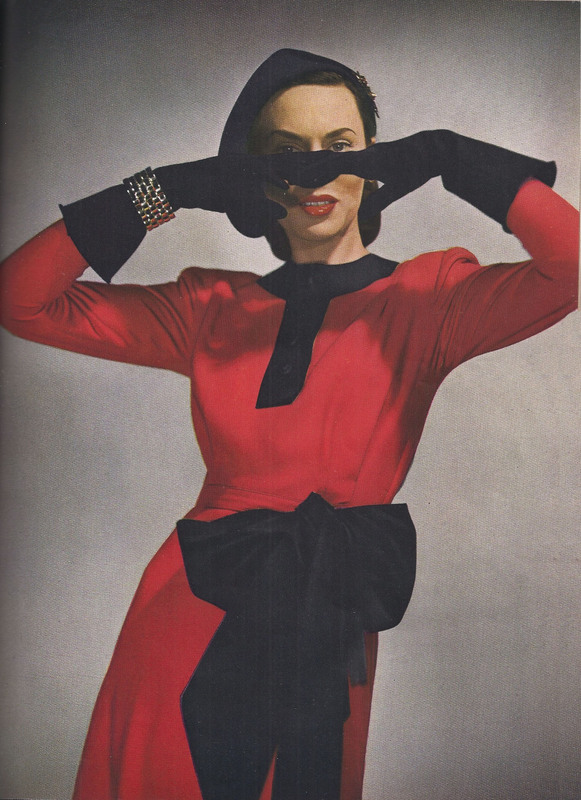 Check out the leopard print cuff on the gloves. 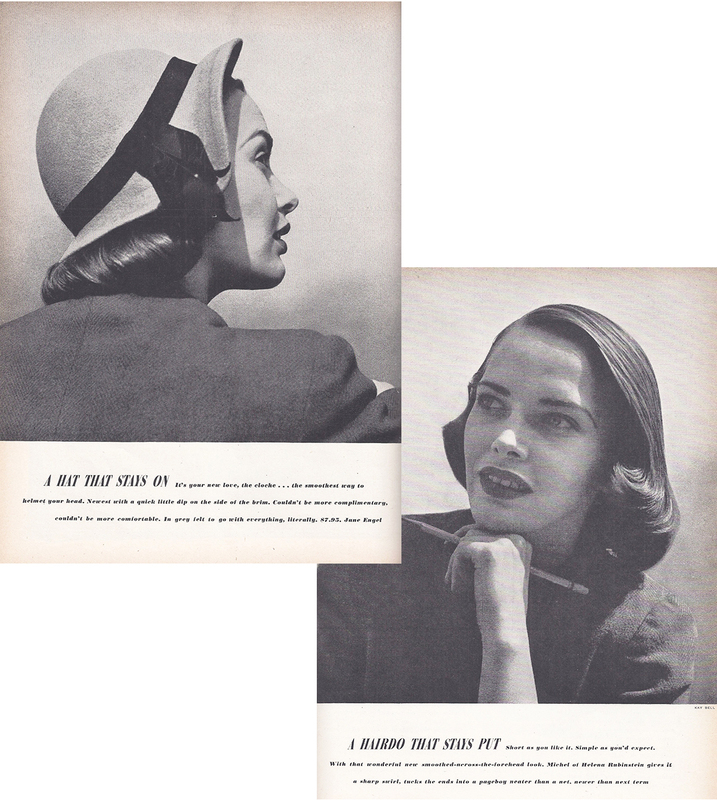 1944 reality does intrude within all the glamour. The war years caused this college girl to grow up a lot quicker than her predecessors. 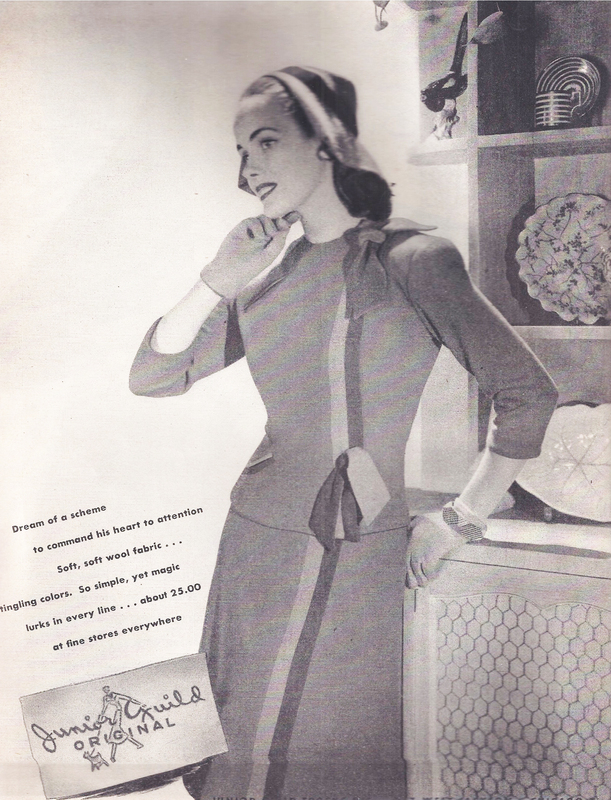 There’s a gorgeous color combo in this Duplex Fabrics ad. 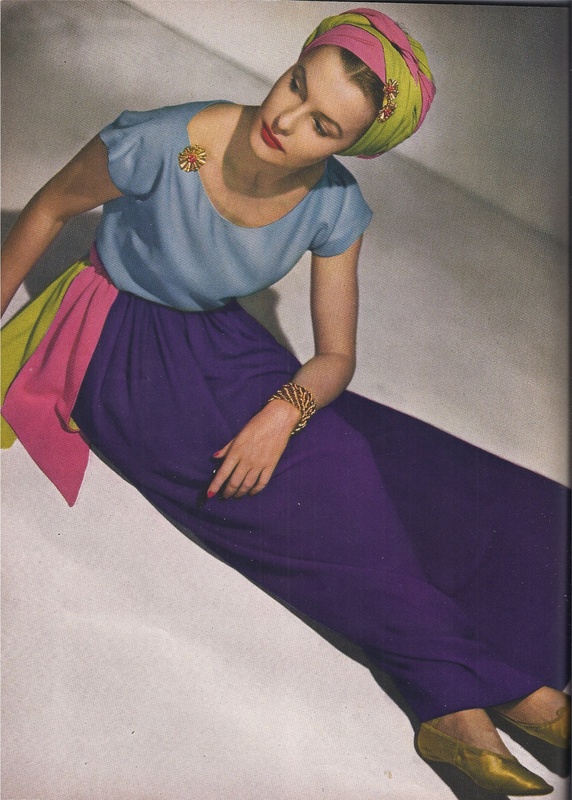 Vera Maxwell was a very popular fashion designer in the 1930s and 40s and was the first to use ultra suede. How about that very patriotic handbag? A hat that stays on and a do that stays put. What could be better? Of course it looks like an entire can of hair spray was used on her head. This issue contains some ads that are pure artistry. 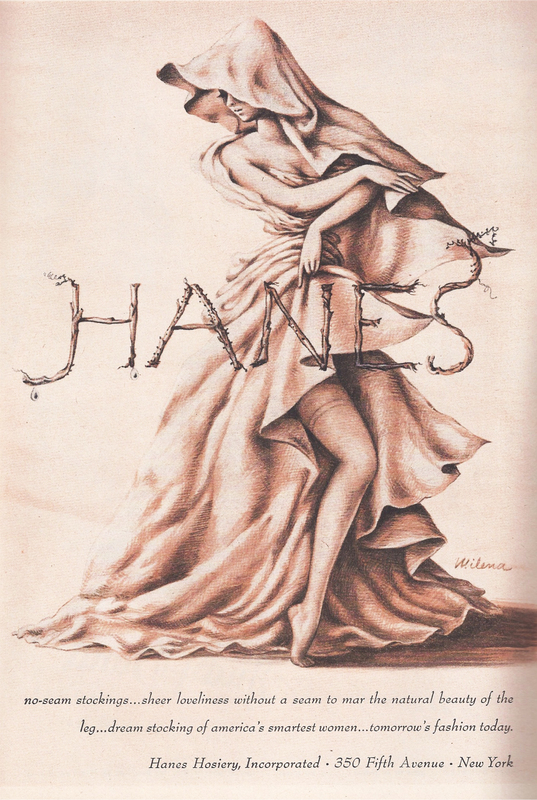 Who knew Hanes no-seam stockings could look so beautiful? 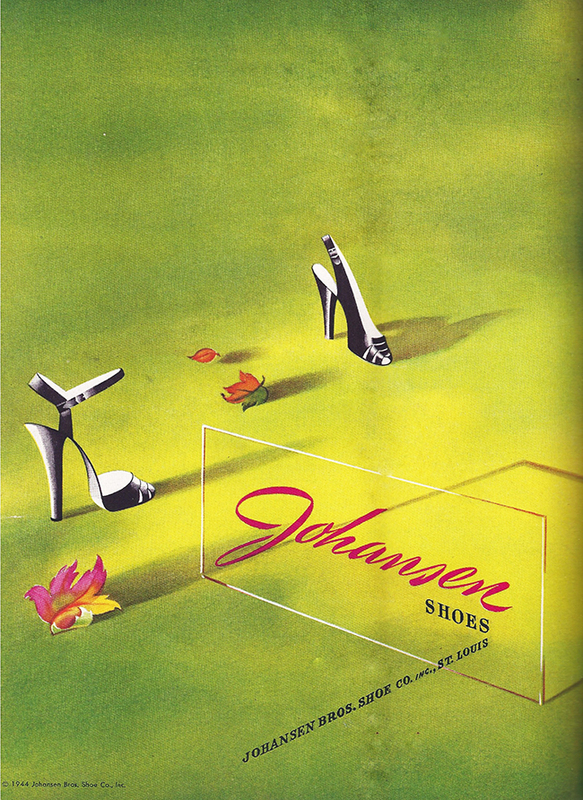 Here’s another work of advertising art for Johansen Shoes with an entirely different feel. 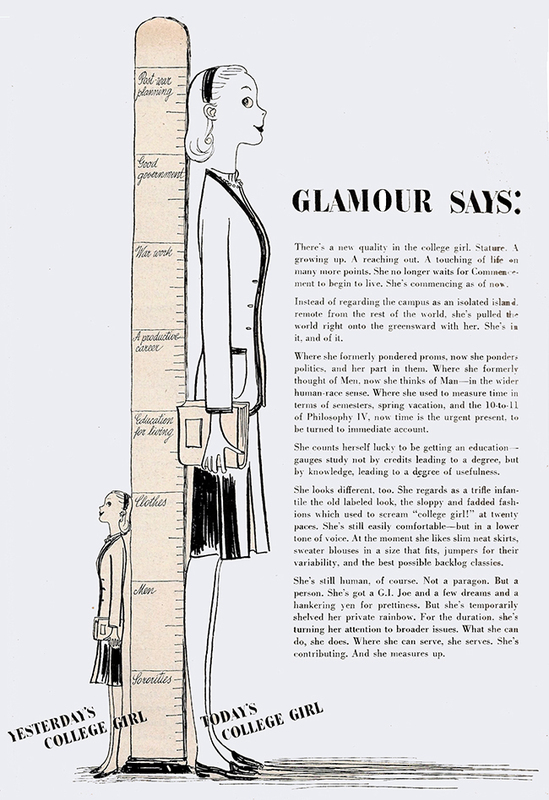 Of course Glamour was famous for their Dos & Don’ts. Don’t slouch girls! 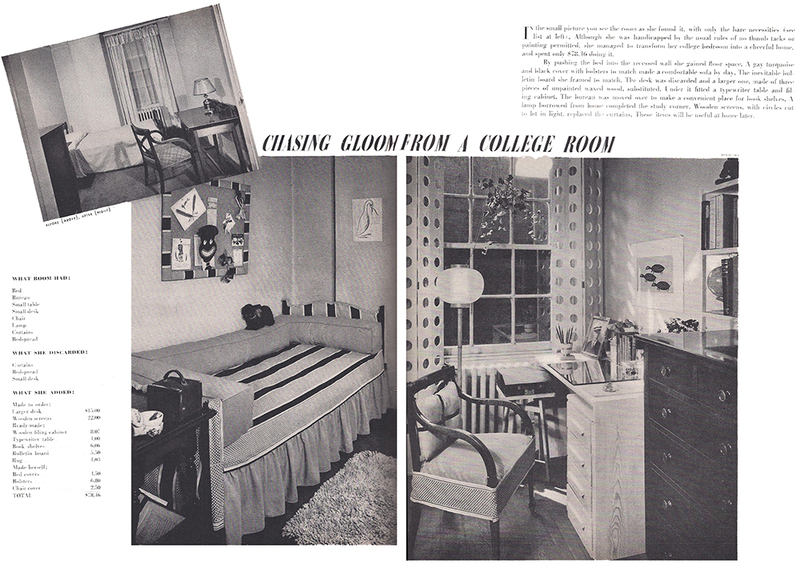 Plus, no college issue worth it’s snuff would leave out dorm room decor. Here’s a redo for the princely sum of $78.46. Since we are MadgesHatbox we can’t leave without showing some hats and gloves. 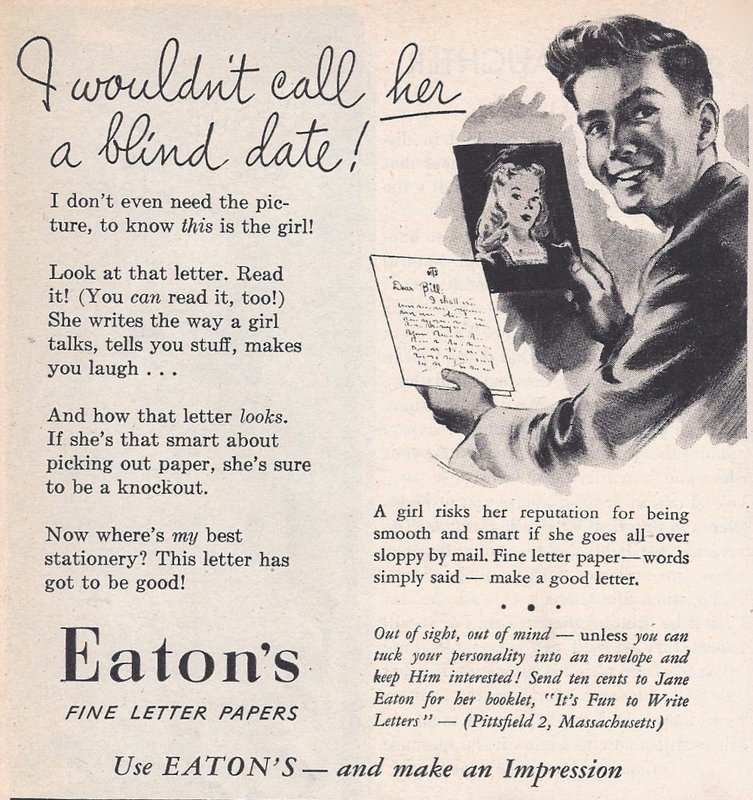 And finally some parting advice from Eaton’s. Don’t risk your reputation on sloppy stationary. 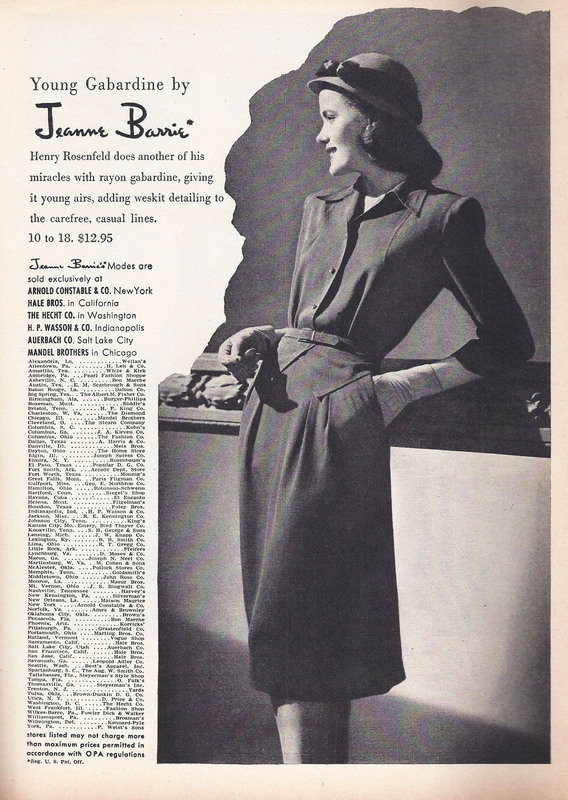 That’s all from Glamour . . but if you love the forties browse these pieces in the shop. what lovely images! The fashions are so fabulous! Well Madge, I’m so envious. I adore old fashion and home dec magazines. I could stay lost for days if I was as lucky as you to find a whole stack. 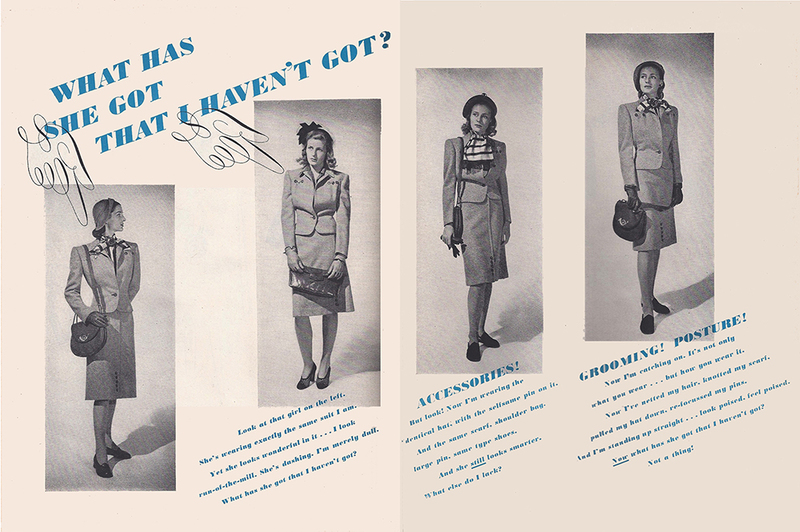 What a wonderful look back at a very stylish, fashion wise day and time. Thank you so much for sharing. I’m going to go back up top and read it all again.